Easy use and clean easy to install and stylish. Bought this as a replacement to our travel system car seat as boy was getting bigger and heavier for me to lift him and the car seat without scraping the car! I really wish we had this from both as it is so easy to use. We got the suited version which looks luxurious and comes with a spare cover, so if you have an accident that is more than a quick clean, you can take the whole cover off to wash properly and still use the seat while it’s cleaning and drying. We haven’t had to do this yet so not sure how easily it is to do a full clean but the material is good to wipe down. The seat swivels 360° so it can be used forward facing and rear facing. It’s designed to use rear facing as long as you want (up to the 4 years the seat serves) rather than just to 15 months which is the legal requirement. So if you want to keep child facing the rear longer which is safer you can. The swivel also makes it so easy to pop baby into the seat as you can turn the seat to face the door. Also if we stop briefly and my partner (the usual driver) pops into a shop leaving me and baby in the car, I can easily swivel the seat to face me in the back to entertain him if needed. The visions and inserts for this are really comfortable and easy to adjust as baby grows... isofix is easy to install and remove if needed. few small points for possible improvement, or to take into consideration when buying. Consider the car you have. Although this will fit loads, if you don’t have a great deal of foot room in the back, and your driver is tall you may struggle to install this behind the driver. My partner is only 5’6” and we have a 4x4 but if we install it behind him he has to move his seat forward to be able to use the entirety of the tilt and swivel features, though I don’t think this will be an issue once it’s forward facing and we mostly put it behind the front passenger seat. In my opinion the straps could be a little longer... it would make it a bit easier to clip then tighten... my LO is 3 months but I also cloth diaper him which is a bit bulkier than disposables so clipping him in is a little harder. I also think a little clip between the two straps around the chest would be a benefit as it will prevent any wiggly toddler from trying to escape. We don’t have that problem now, but it may be an issue in future. It's from birth to 4 years. This car seat is very smart/ comfortable and safe looking. It has lots of removable padding for the different stages your child will use it for (birth - 4 year). With the isofix attachments it took me the total of 3 minutes to fit the car seat, including placing the support leg in the correct position (it will show up green when correct). This car seat can spin 360 degrees. So you can have it facing towards the seat as long as your child fits and then you can have it facing outwards for when they are older. If also makes putting a small baby/child into the seat a lot easier because you can turn it to face you when putting them in the car and then after you have fastened the straps you can then turn them to the right position before leaving. 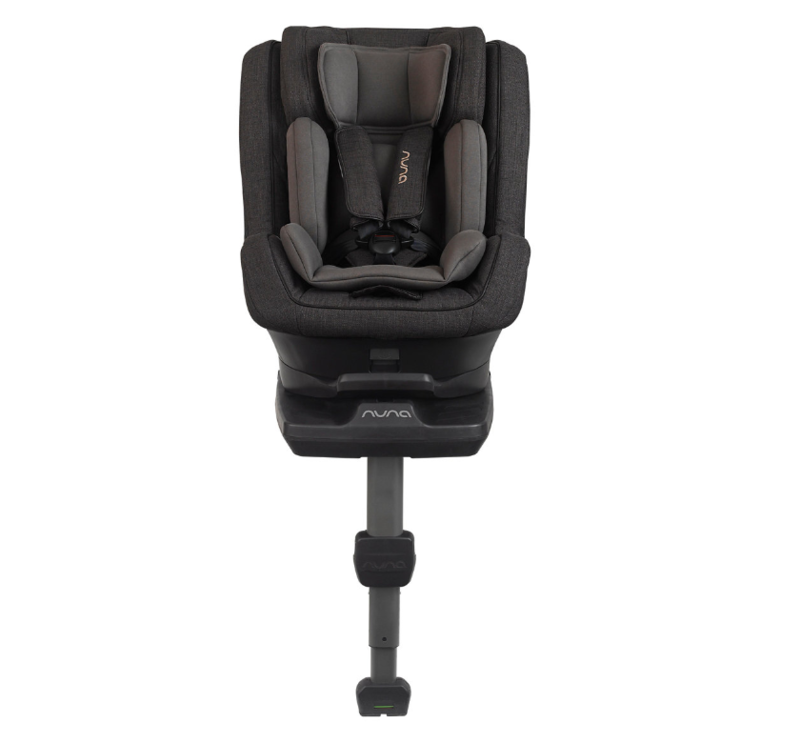 The extended base on this car seat allows you to recline the seat to a number of different positions, ensuring the comfort as well as safety for your child during transport. I really like this car seat, we brought it for my baby due in June but now hoping to buy another for my 2 year old. Only thing that would have been nice extra feature would be being able to clip up the car seats leg when it's not in use. You can't place it flat on the floor and you have to wrap your arm around the bottom when carrying it. I love this car seat, my little on looks so comfy can’t go anywhere without him falling To sleep! Easy to fit into the car and just a lovely seat in general will definitely be telling my friends! I Love This car seat! I Bought it for my daughter around a year ago, after she grew out of her initial car seat that came part of her travel system. I spent ages researching the safest car seats while also trying to find one that didn’t feel cheap or flimpzy. 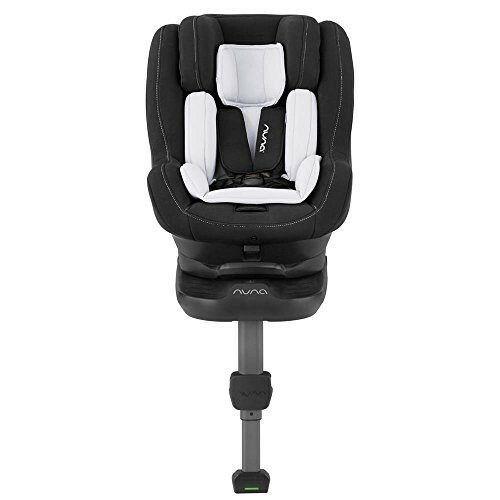 I went to Mothercare on several occasions to try them and then I came across the Nuna Rebl, I paid £325 on a special promotion at the time which was a little pricey but in my opinion completely worth it. It has extended rear facing until 4 which is great, the swivel 360 makes life so much easier trying to get her in the car. The reclining is great for when she falls asleep! Honeslty I am made up with my purchase. the only thing I would suggest is we bought another one recently for my son, who’s now 6 weeks old, I’ve got a Audi A4 estate which isn’t a smallish car, when you swivel both the chairs at once (when my partner gets my daughter out same time) the seats hit together, also doesn’t leave much of a space between the two car seats but chunky seats means extra safety aye! Would check size of seat out in your car before committing but if it fits, it’s amazing! We brought the 360 rebl plus after much consideration. We didn’t want a car seat that fixed to a pram after reading so many stories of the baby being in it to long and becoming poorly. We wanted a car seat that would take the temptation of leaving a sleeping baby in the car seat away. 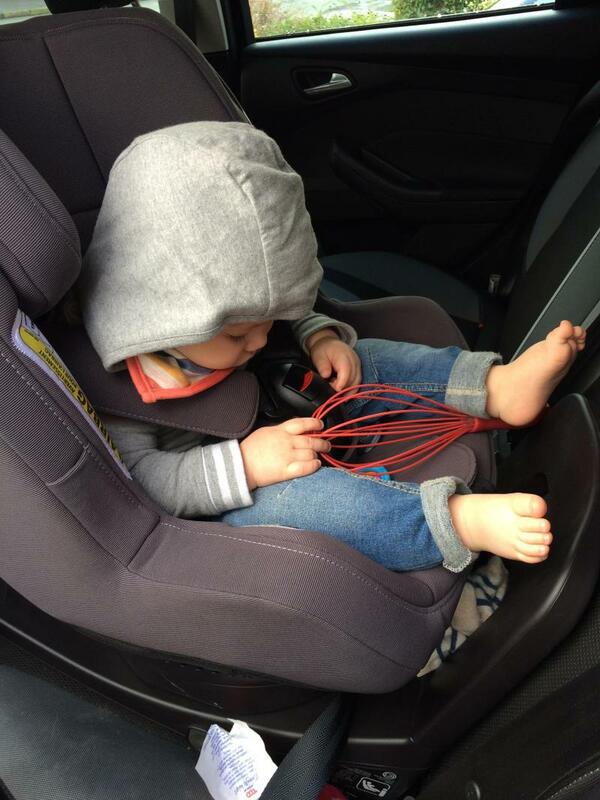 The car seat is easy to install into your car and the instructions are easy to follow. The indicators on the fixings allow you peace of mind that is installed probably and safely. 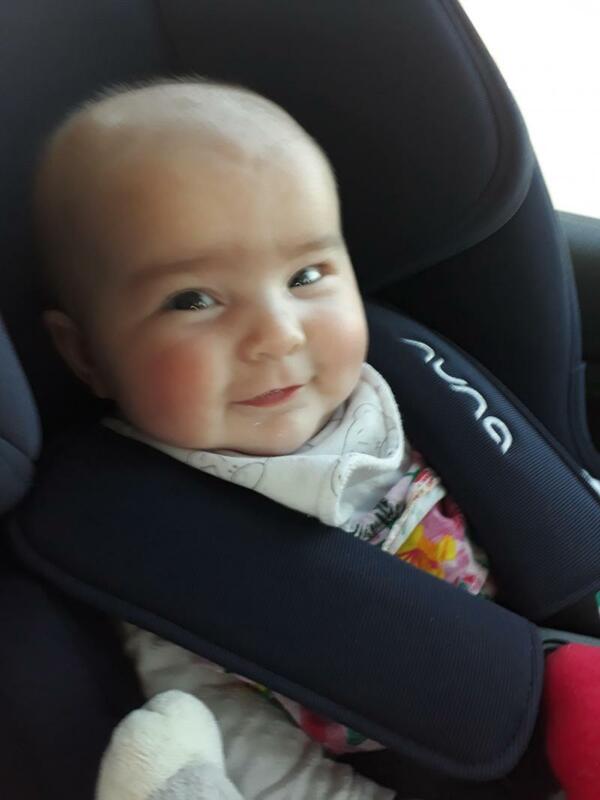 From the moment we placed our little girl into her car seat we new we had made the right decisions. She looked comfortable and safe. No head wobbling about in any extra space due to the insert. The straps have an anti slip design to them so that old babies can’t get their hands underneath and take their arms out. The 360 design is a god send and allows you to be able to manoevrer a sleeping baby in and out without much fuss. My little girl is now 5 months and a chunky monkey so we have removed the extra insert and she still looks secure and safe. We love the 360 degree spin feature, makes it so easy to put wriggly toddler in. The seven recline settings are not really that much different to the next. We purchased this 360 degree spin car seat after our friend recommended the Joie 360 spin car seat. 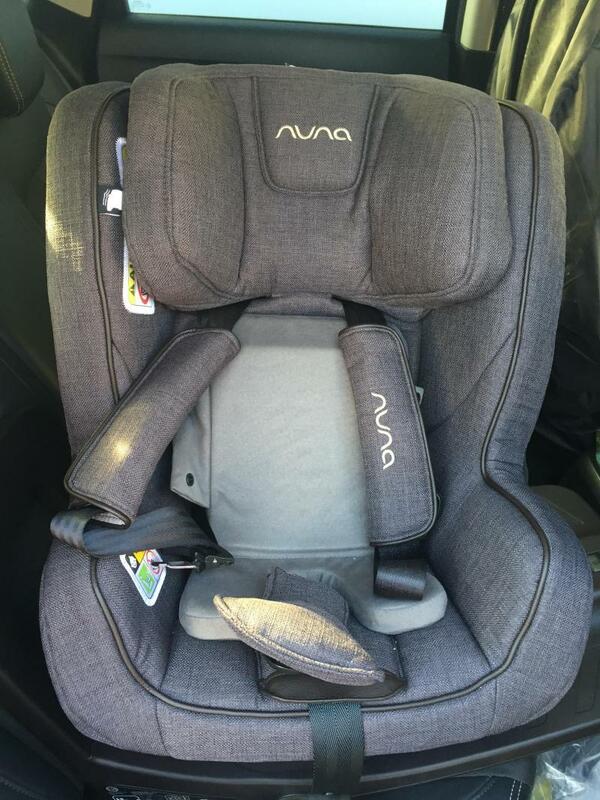 We went with the intention of purchasing this car seat however after talking to a knowledgeable sales assistant, decided to get the Nuna Rebl plus instead (which is a sister company to Joie). We mainly opted for the Nuna car seat as it is i-size, and this means we are able to rear face our little one for longer which is safer. We were also sold by the 360 spin feature, along with the stylish design of the car seat (seemed more luxurious than the Joie spin 360). We opted for the grey colour as decided it would show up less dirt than the black model, however this is not much of a problem as you get a replacement cover to wash against, which is particularly useful with messy little ones! This car seat has 7 recline settings which are easy to adjust, however we personally do not think there is much of a distinction between them. Obviously setting one (most reclined setting) is more reclined than setting 7, but the settings in between do not offer much distinction. In my opinion, number 1 should be more reclined for when little one is asleep, but you can't have everything. 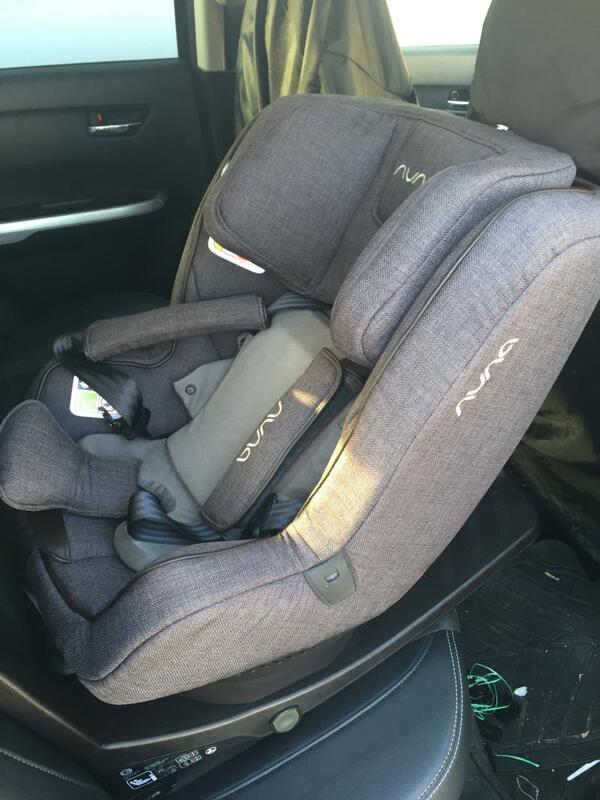 Also we found this car seat was a bit on the pricey side,however we were lucky to purchase it in a sale event, so saved quite a bit of money but is certainly not ideal for those on a budget. 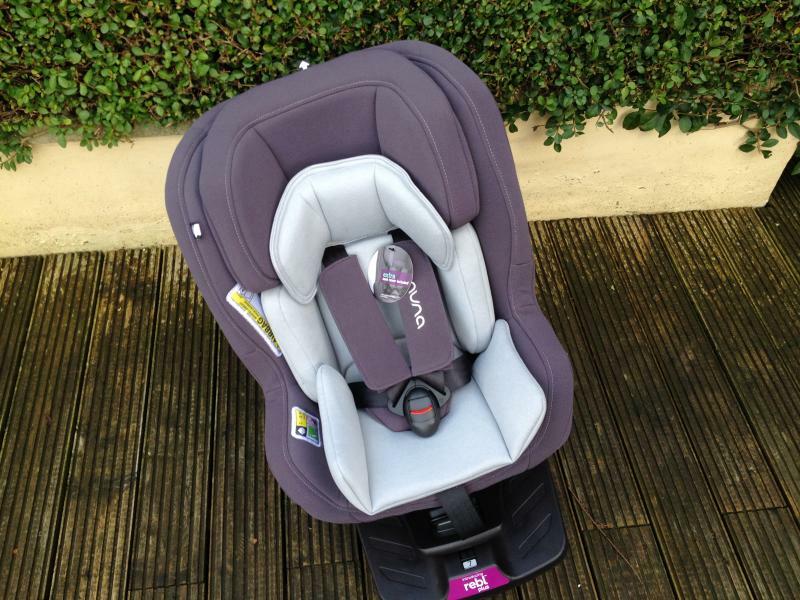 Overall, we love our Nuna Rebl car seat as we will be able to rear face our little one for longer which is safer, but we think it is on the higher end of a budget and the recline settings could do with being more distinct from the next. This car seat is amazing! It can be used from birth with the extra padded insert until 4years. The swivel seat is invaluable- wish it was invented when I had my first child. No sore back! The seat is easy to swivel & very comfy. My daughter always falls asleep & looks comfy. Easy to alter the straps, seat position etc. Another added bonus is the seat cover is easy to remove & machine washable. It also comes with a spare cover. The seat is very heavy and can be difficult to move if you want it in a different car. I bought this seat for my son and it is wonderful. With previous kids I had other seats and moving forward he seats between 2 cars was a nightmare because all the safety buckles that hold the seat in place would have to be readjusted. When we got the rebl we were surprised how easy it was to click on and out within seconds. The turn function is also handy when trying to strap baby in so no awkward angles in small cars. Unfortunately my son was on the taller side so outgrew it quickly (he is 3) but I am now using it with my daughter and ease of use makes it less stressful to handle baby and preschooler at the same time. An improvement with be to make a better harness - my 3 year old slips the straps off his shoulders no matter how tight they are so adding a chest buckle will be a good idea. Overall a comfortable car seat with ease of use. This seat is really easy to use and our baby fits snugly in the seat and is well supported. The seat swivels to make it easy to get a baby in and out. The fastening strap is a bit fiddly, particularly if your baby is a wriggler but over all the seat is very easy to use. The RRP is quite high but if you shop around, the seat is always on offer somewhere. I would recommend this product. 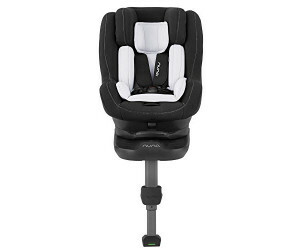 Brilliant car seat for use for parents with back problems, or any kind of mobility issue. Feels lovely and comfortable for the baby to sit in, the design and materials used are modern and smart, changing any of the settings is easy, the only downside for this seat would be that it is very heavy, so moving it from one car to another would be very tricky unless you are fairly muscly! All in all I would give it a thorough recommendation if you are looking for a 360 spin car seat. 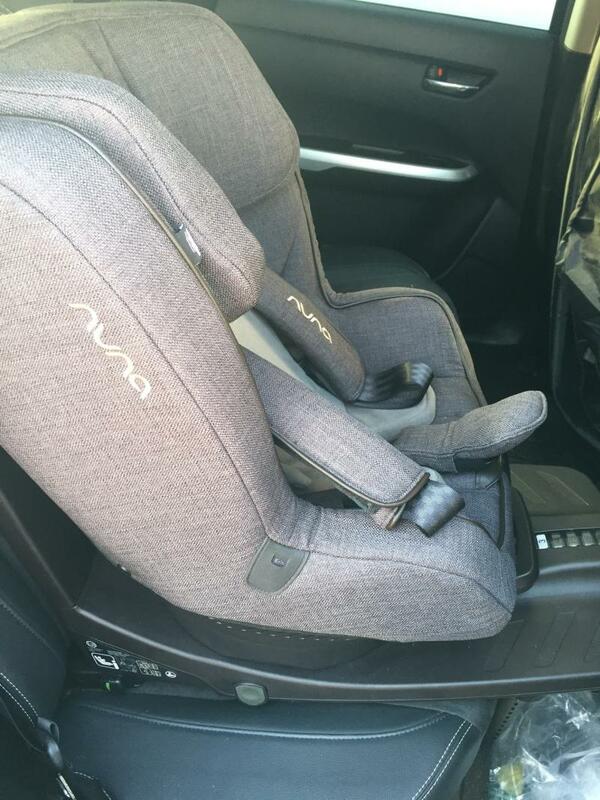 Nuna car seat are quiet expensive but they are worth any penny, comfortable,easy to use and handy for parents, 360 degress seat , which makes taking out and putting the childs in so easy! Highly recommended-also has few stages of moving the position of the child ,can be sit up or lay down. 360 rotation, summer cover included. This is brilliant. I carried out so much research before I brought this. I wanted a rotating i-size, something to make life easier but so be the safest around. This ticks both boxes. My son is super comfortable and safe. The seat is very simple to use and the spare summer covers are perfect for hotter weather. Yes his head did slump forward but we had to use the wedge behind his back and it's now perfect for a nap. Yes it is heavy but that's just piece of mind that it's strudy and would withstand a crash. Honestly it's great! The positive features of this car seat well outweigh the negatives. The 360 turn is a life saver as I developed tendinitis during pregnancy and I have a very wiggly baby. I grows with baby, so you don’t have to buy a new seat with each growth spurt. My son had reflux so would spit up a lot, and cleaning the separate components can be a faff. The straps can also become twisted quite easily which is something to remain aware of. 360 turn, comfort, spare seat cover. This is amazing and the journeys to family have been so much better for us with this car seat. It is comfortable for my three year old and feels very safe. This seat is brilliant we got it because it spins and is so easy to use my son loves it he sleeps really well in it ! Easy to get him in and out . 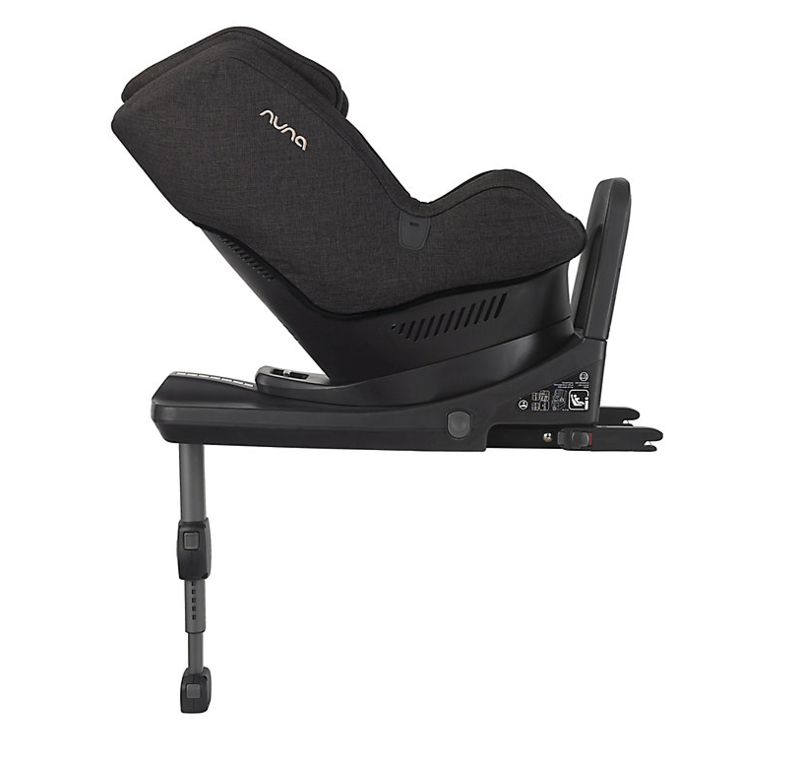 I suffer from rheumatoid arthritus and this seat has been a true life safer I don't need to send to get my baby into the car and the straps adjust so easily definitely a thumbs up. Love this car seat. Will be buying a second for new baby. Spin easy to use esp with being pregnant. My 17 month old forward faces and loves it. Feel nice & solid. Good it comes with spare covers. Love the 360 swivel. Really well thought out. Little holes in the sides for the clasps. Great car seat but very heavy to move. 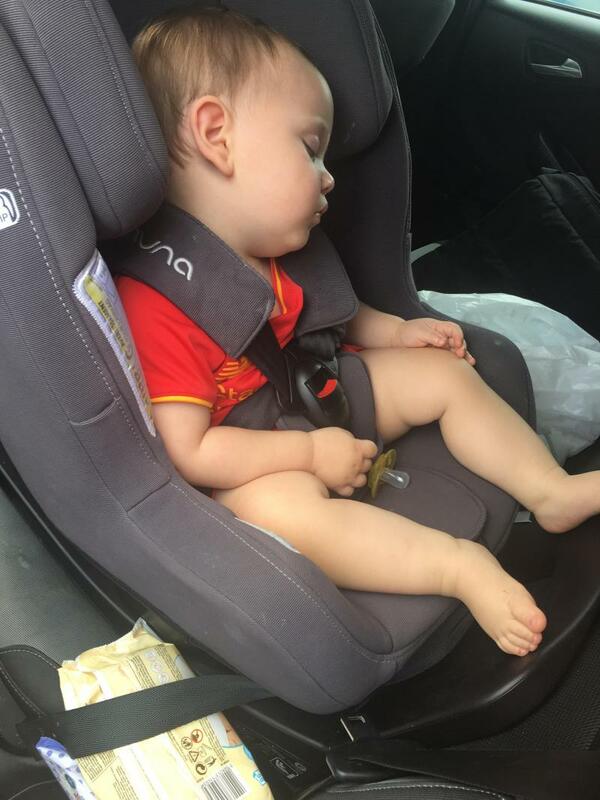 My son is uncomfortable sleeping in this car seat his head doesn’t stay back it will hang forward due to the car seat not reclining as much as other car seats do. After lots of reading and reviewing we chose the nuna rebl and love it. Son is really comfy and it’s great to be able to put him in and spin him 360. I am able to let him forward face if we are parked and he is having a snack and then quickly turn and off we go. Very stylish, fab that it comes with additions cover. It is very heavy and well made so not ideal if you take it in and out of your car very often. Ease of use. Great design. Easy to fit. Failed at ADAC test. Little ones head would fall forward when asleep. To start, we loved this seat! The only flaw was occasionally when little one was asleep his head would roll forward. However as a rear facet with the swivel option it was super easy! The harness would loosen easily to get little one out of the seat, one handed swivel option was a breeze, little one looked so snug in it. Only when contacted by the company I bought it from that it had failed ADAC testing did we decided to exchange it. If it had passed this testing I would definitely still have it and be investing in another for my second little boy. Was worth absolutely every penny! Loved that it had two seat covers. While one was in the wash the other could be used! Great idea. And the holes in the seat in the back allowed for better air flow eg air con to keep little one cool in the hot months. Absolute love it. He looks so cosy. We have a maxi cosy pebble for the other car but i feel safer him being in this rather than the iso fix. The 360 degree swivel, great padding, easy to install & use, long-lasting, rearward-facing until 4Y. Quite pricey and heavy to move. We are using this car seat with our toddler (21 months old) and we love. It spins 360 degrees so it's really easy to get her in and out of the car seat. 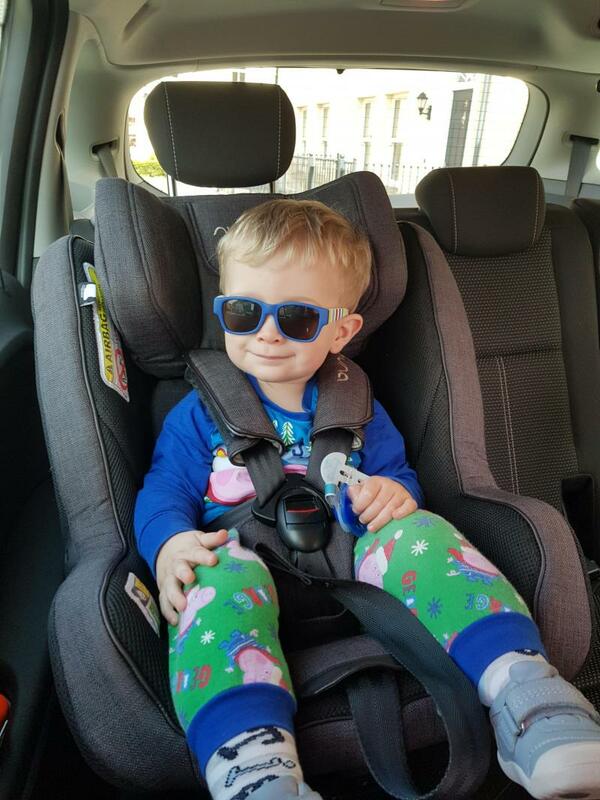 The car seat was really easy to install with Isofix and it's so easy and quick to change any settings like the recline function, swivel, headrest and harness size and height. It's suitable from birth until around 4 years old which is quite amazing! You can keep your child rearward facing for all this time too if you wish but our toddler likes to face forward like her sister. It's really sturdy and well padded too and feel safe and comfortable. Another great thing is that you get a spare seat cover in a handy storage bag which is great for when you need to wash the main cover. Stunning, sturdy and smart, the Nuna REBL plus i-size car seat exceeds the i-size safety standard thanks to its safety enhancements. It also converts so that your baby can ride rear facing for longer, as recommended by safety experts. Suitable from birth to four years old (40-105cm).